leslieanne wrote it: Would you like a FREE hard enamel pin? Would you like a FREE hard enamel pin? ...of course you would right? 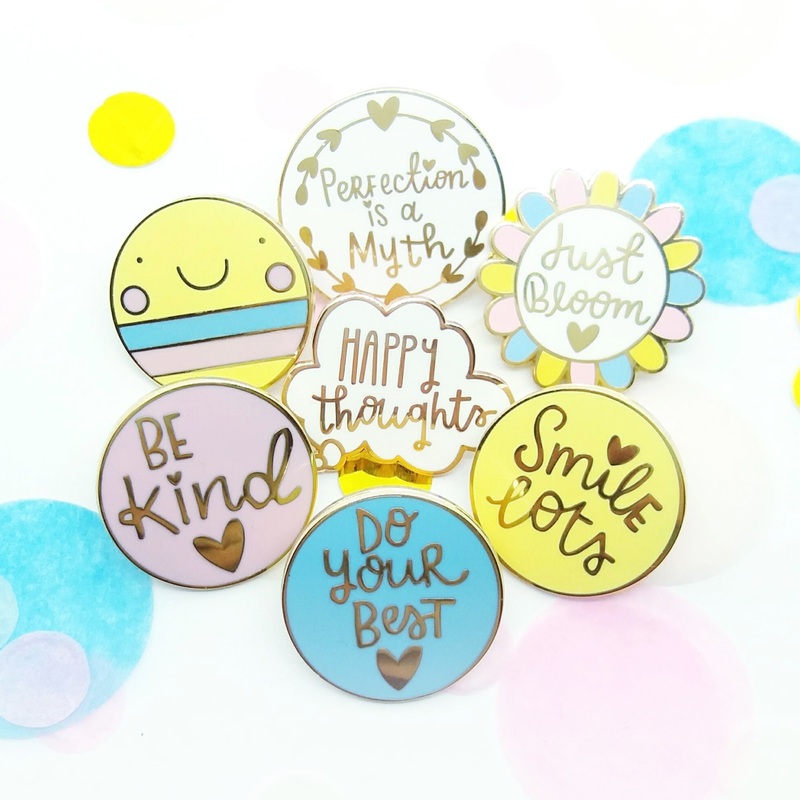 Well, there are a whole bunch of new pretties available in my shop this week, all packed full of pastel goodness ready to lift your spirits and (hopefully) welcome in some springtime joy too! 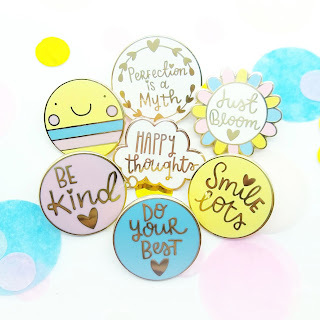 There are six brand new designs - three tiny reminders featuring my hand lettering (smile lots in yellow, be kind in pink and do your best in blue), a pretty in pastels daisy to remind you to 'Just Bloom', Larry the happy little smiley and a reworking of an old favourite - perfection is a myth. Aaand, to celebrate the new collection, there's also one other design which I haven't revealed yet - *but*, if you buy any three pins (your choice of old or new designs) before midnight on Sunday 21st January, I'll pop the mystery pin in your box too, absolutely free! Soo, there's never been a better time to treat yourself really! Hope you like the newbies - let me know your favourites!